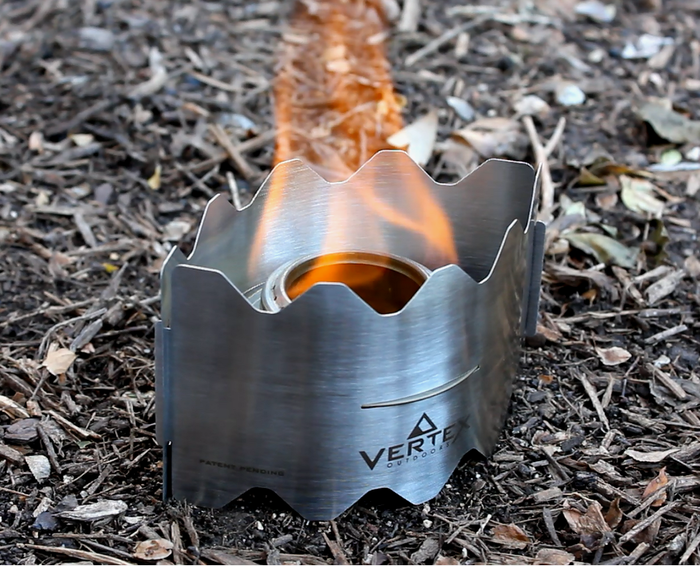 The Vertex Ultralight stove is also designed to support a popular alcohol burner (the Trangia Spirit Burner) used by many minimalist backpackers. The great thing about denatured alcohol is that you can buy it at virtually any hardware store around the world. 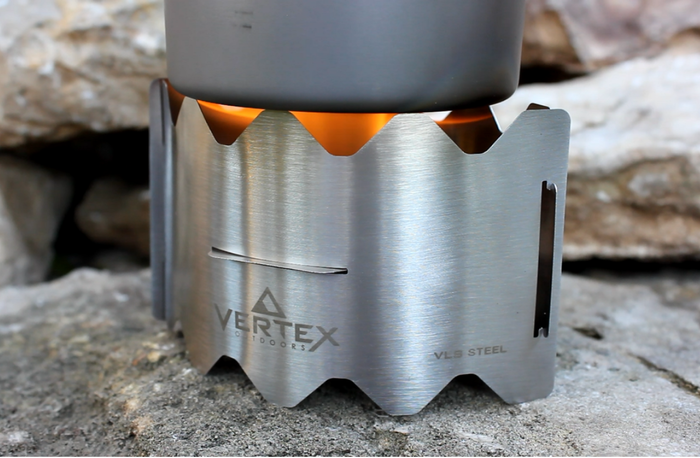 Weighs only 1.8 ounces and packs smaller than your trail map - the perfect ultralight backpacking stove. The curved design creates incredible strength with very little mass. 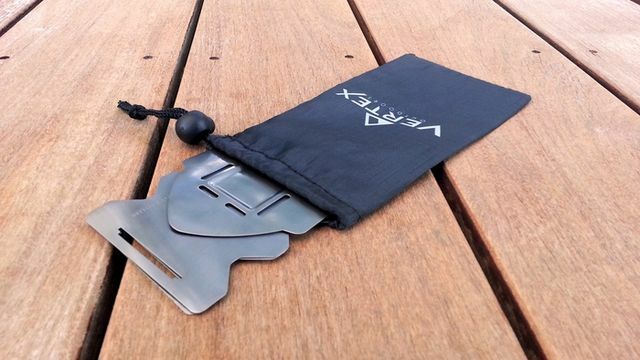 The stove has no moving parts, assembles in seconds, and packs smaller than your trail map, so it can be tucked into even the thinnest pockets in your pack. It serves the essential functions of fuel support, windscreen, and pot-stand in a simple and elegant design. Assembled Dimensions: 4.84 in. X 2.87 in. X 3.0 in. Truly, the minimalist version of the old Sterno stove. I've got to have one of these ingenious stoves!